This has been a fun project. I am almost done but am missing a suitable mustache for Santa. I stopped by the craft store but Santa accessories must be out of season — so off to the needlepoint shop this week. The last part will be adding hangers. 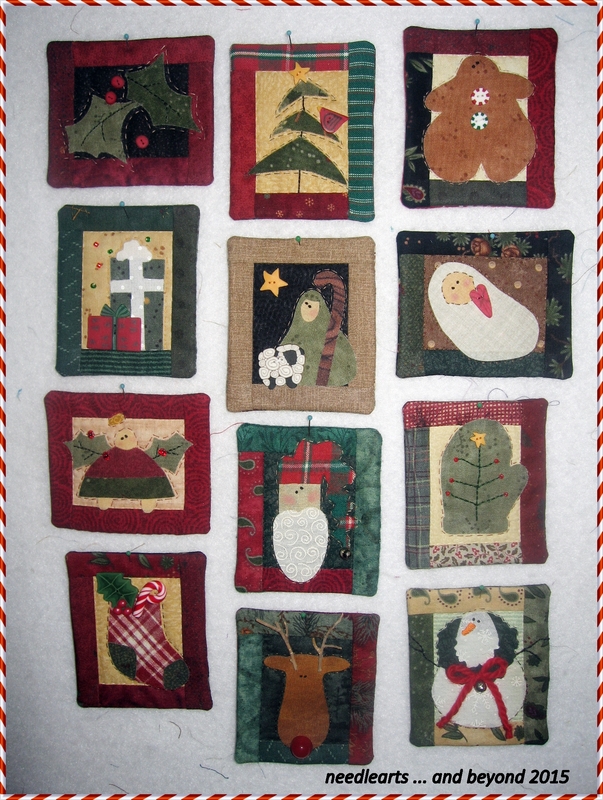 This entry was posted in crafts, holiday crafts and tagged art to heart, christmas ornaments, quilting, sewing. Bookmark the permalink.